Can you imagine it? Their loathsome laughter. Their heinous hand-holding. Their preposterous PDA. Every year on February 14th, normal, everyday bystanders must endure the horrifying wrath of Valentine’s Day couples. Single or not, everyone can agree that this inevitable display of happiness can cause even the most caring characters to cringe with disgust. Here are some of the top reasons why Valentine’s Day is the most wretched holiday of the year. Have you seen a baby kitten and feel utter disgust? Yah. The same feeling is evoked on Valentine’s Day. Everyone is smiling and even when someone’s single, the feelings in the air rub off on them. Like a sickness it spreads from person to person and everyone feels the god-awful same way; they feel contagious love. It pains me to know that innocent bystanders fall prey to such powerful feelings like these. I can’t imagine why anyone would succumb to the banal gesture of gift-giving. Cute little heart-shaped chocolates, plush teddy bears, sparkling jewelry, heartfelt messages on festive cards. Who wants to buy lovely gifts and perform thoughtful gestures for the ones they love? I don’t know. Beats me. 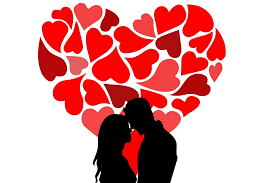 Normally on Valentine’s Day, people plan an extravagant evening on the beach, at a restaurant, at the movies or even in one’s own home to express to their partners just how much they care about them. What a ludicrous act! I can’t believe anyone would want to go on a wonderful outing with someone on a day dedicated to love. Can’t guys tell already that their girlfriends aren’t impressed by an elaborate event such as a date on Valentine’s Day? I guess people will never learn. Through this analysis of Valentine’s Day there is only one conclusion; It’s astonishing the things people do for love.